This love story truly made me appreciate my own love life. Oh my goodness. This not a beautiful disaster....this was a hot, crazy, insane mess. I figured there would be some drama and craziness, but I was really in for it. Abby is a complex character (which I liked a lot). She came from a crappy home and she decided to travel with her friend to a faraway college. She just wants to get her degree and make something of herself, but Travis stumbles onto her path. Then there is Travis...On the outside he is a major hottie and loves one night stands with the girls. However, on the inside he is a walking time bomb. And that is being nice. Sure he had some bad stuff happen to him in his youth, but....yeah....not cool. He was an idiot, overly protective, overly jealous, major anger issues, selfish, and sometimes creepy. OKAY I will admit I like alpha males myself. A little protectiveness is always nice BUT he was on whole different level. He did get better near the end, so I'm glad the author gave him some sort of character development. Huzzah. The back and forth was annoying. They loved breaking each other's hearts....Travis was an idiot and Abby was rude and confusing in her decisions. Honestly, they should have just stayed friends. It reminds me of a quote, "Even if you love each other, sometimes you shouldn't be together." I think this was from a show? mhm. But yes. 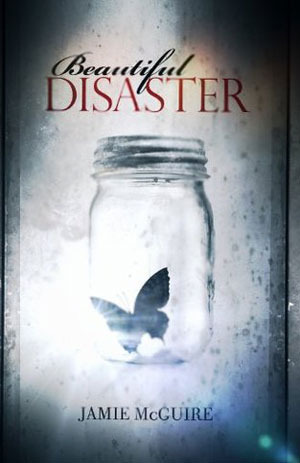 They are disasters and their journey is not going to be an easy one...which DID make it interesting to read for sure. There is a second book? I hope its a book about Finch. Finch deserves to find the man of his dreams. Finch had to deal with so much crap in this book. Same with America and Shep. Poor side characters getting caught up in the hurricane that is known as Trabby. *looks on Goodreads* Ugh all of the books except one of the short stories is about Trabby. Bummer. I wouldn't mind reading the short story about American and Shep. I did really love the side characters...I was more interested in their stories. I especially loved Travis' dad and his brothers. HOWEVER, I will say that I could not put this down. I read this in a couple sittings. It was like a tornado I couldn't stop watching. The author's writing style is good and I do want to read something else from her. I needed to know what was going to happen next. In the end, this was pretty addicting. I couldn't put the book down to save my life even though the Travis and Abby drama killed me. I loved the side characters and I want to learn more about them. I'm looking forward to the other books by the author. Out of five stars, I'll give this 3. It would've been two, but I really do feel the secondary characters helped keep the book together so they deserve a star themselves. I recommend this for those looking something dramatic. I read this one. Disaster, true, but not beautiful. B, I do not blame you. Melliane, I hope you like it more than me.